Experienced genealogy researchers will help you learn about your family's origins and history. Use our library resources and learn how to use Internet sources and local government records. You'll learn basic research techniques and resources, and how to document your family tree and preserve your findings. If you would like a notice when the website is updated, send and email to the webmaster to be put on a notification list. Added list of Family Resources toHelpful Links page. Added widget to search ArchiveGrid on Helpful Links page. See the Helpful Links Section for links to Cemetery Laws from several states. The object of the society shall be to collect, preserve and disseminate genealogical research and to encourage and instruct members in their proper documentation of findings. In 1981, a group interested in genealogy took a class taught by Dr. William McCain at the University of Southern Mississippi. This group decided to meet to help each other in their interest and research of family histories. Out of this group our non-profit organization was formed. There were 21 present at this meeting and Dr. Hugh Barnes was elected organizational president. 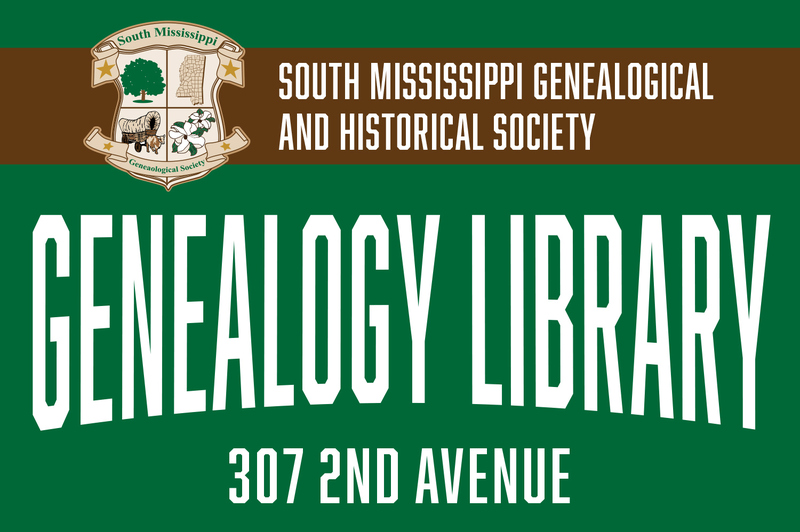 At the October 13, 1981 meeting, it was decided the name of the group would be South Mississippi Genealogical & Historical Society. Meetings continued informally until June 1982 when By-laws were adopted. Article II states the objective of the society. It reads: "The object of the society shall be to collect, preserve and disseminate genealogical research and to encourage and instruct members in their proper documentation of findings"
Dr. William McCain served as president from October 12, 1982 to June 1986.